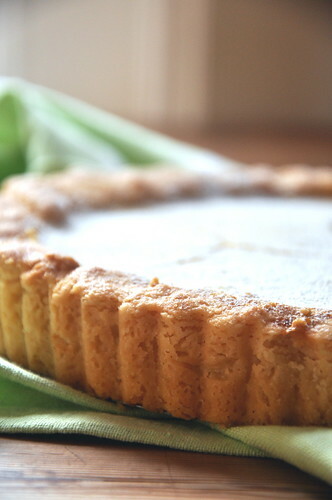 It looks like a lemon tart, right? Yeah, I know. So I guess this particular batch aren't lemon bars...can we compromise and call them lemon slices? Lemon wedges? How about just plain delicious? There. That's much better. That clears everything up. I don't know about you, but I am the world's biggest crust fan. Hand me a peach cobbler, and I'll pick around the fruit. Give me an apple crisp, and I'll focus on the they oat-y topping. 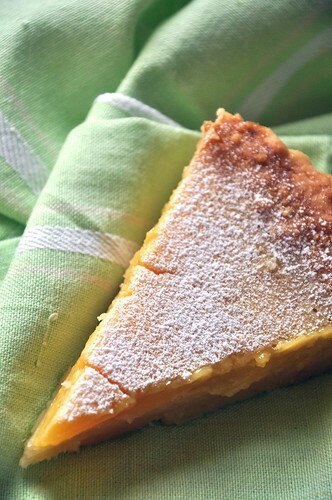 I think that pie exists solely as a vehicle for those incredible, buttery, barely sweet crusts. My ideal pie would be a crust pie. I can't explain it; I just love it. Because of my crusty infatuation, I decided to double the crust. 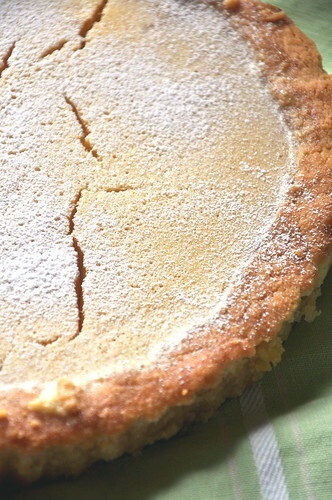 I only used one and a half batches of the dough in the tart pan and simply baked the rest on its own as shortbread. 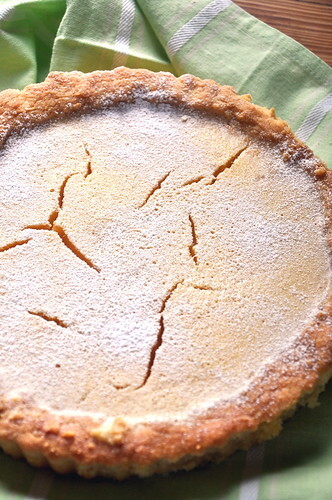 While it wasn't the best shortbread on its own, it was a lovely counterpoint to the smooth, tart filling. I'm going to give you the original measurements for the crust, but obviously feel free to double them if you, like me, are pro crust. Oh my god, and that filling. 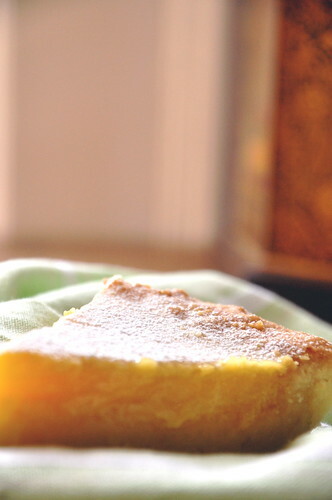 I cannot stand lemon bars or lemon tarts with super sweet fillings that taste more like 'yellow' than they do like lemon. These are not like that in the slightest. The curd filling makes your mouth pucker, but in a good way- in a smile. They feel like summer. I added the juice on one blood orange because I had it lying around. It gave the filling a more golden hue and sort of rounded out the flavor. Obviously, you don't have to add the orange juice if you don't have an orange, but it wouldn't hurt if you do! I forgot the zest and didn't feel like I was missing anything, but I'll definitely throw it in there next time for good measure. Preheat the oven to 350. Butter a 13-by-9-inch baking pan. whisk the flour, powdered sugar, cornstarch, and salt in a large bowl. Add the cubed butter and beat until it's incorporated and the dough comes together and pulls away from the sides of the bowl. Add the almond extract and beat to incorporate. Press the dough into the baking pan and bake for 30 minutes or until golden brown. Remove from the oven and reduce the oven temperature to 300. While the crust is in the oven, whisk together the eggs and egg yolks in a bowl. Add the sugar and flour and whisk until it is smooth. Whisk in the juice and zest. Pour the filling over the baked crust. Bake for 15 to 20 minutes, or until set. Cool completely and sprinkle with powdered sugar. I hope you had a great year in Scotland and enjoy your summer in NYC!!! Hi Shannon, it's so great to hear from you! !